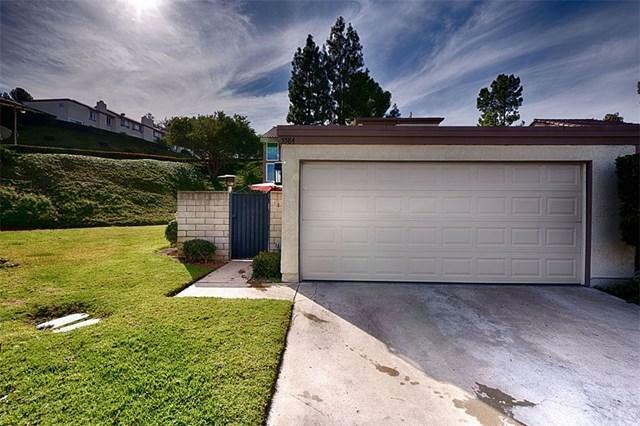 Upgraded Anaheim Hills dual master suites home in the prestigious Rancho Yorba Community. Walking distance to shopping, restaurants and excellent schools - Canyon HS and Crescent Elementary. 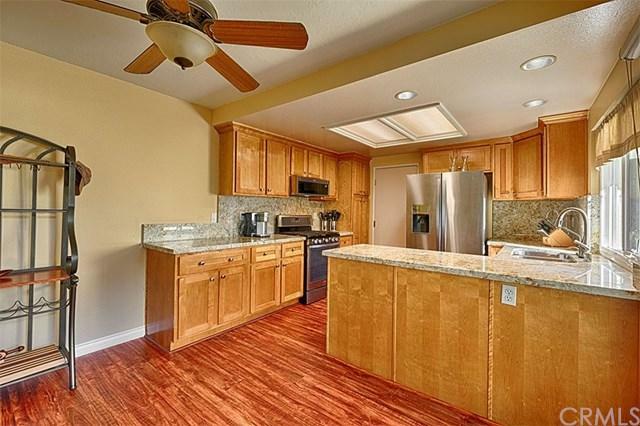 Spacious kitchen with newer appliances (Bosch dishwasher, space saver microwave hood) and new granite countertops. Undermount stainless steel sink and Delta Touch 2.0 faucet. Lots of cabinets and a breakfast nook. Living room with granite enclosed fireplace and brand new luxury vinyl, waterproof (wood look) floors. 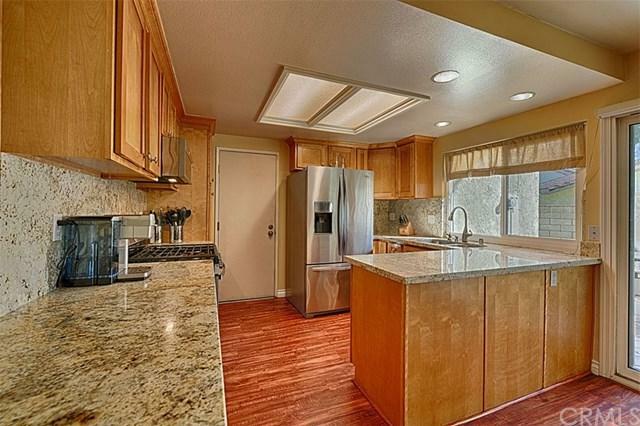 Re Upgraded Anaheim Hills dual master suites home in the prestigious Rancho Yorba Community. Walking distance to shopping, restaurants and excellent schools - Canyon HS and Crescent Elementary. 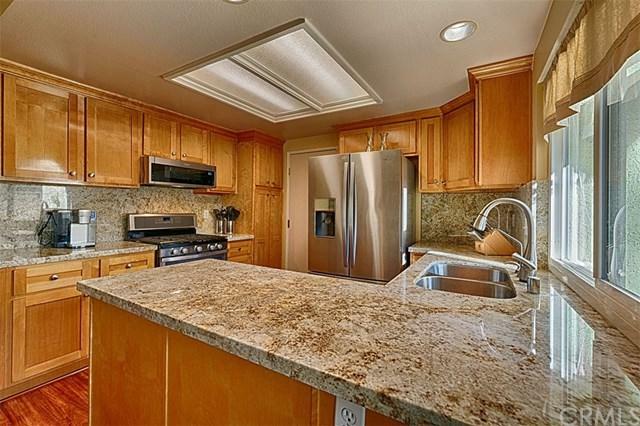 Spacious kitchen with newer appliances (Bosch dishwasher, space saver microwave hood) and new granite countertops. Undermount stainless steel sink and Delta Touch 2.0 faucet. Lots of cabinets and a breakfast nook. Living room with granite enclosed fireplace and brand new luxury vinyl, waterproof (wood look) floors. Remote controlled Kathy Ireland window coverings in main room, bedrooms and picture windows over the stairs. ALL windows in this home have been upgraded with dual pane, energy efficient windows. Master bedroom with his and her closets, double sink vanity, lg remodeled walk in shower with frameless shower doors and onyx accents. Room for dressing table or extra storage in master bathroom. Second bedroom has en-suite bathroom, Murphy bed and built in office space (optional, can be excluded from the sale). Work in a dedicated home office space and be ready to easily entertain guests. This hone is an end unit with a private patio that is great for entertaining and the side and back is lush with beautiful landscaping that the HOA maintains. loads of newly upgraded items in this home, low flow toilets, garbage disposal, Lennox air conditioner and furnace, recessed lighting, new roof. HOA includes water and common area landscaping and community pool.